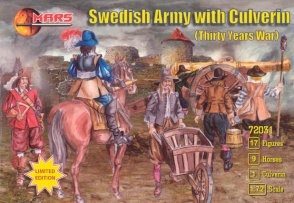 72031 Thirty Years War Swedish Army with Culverin. Released 2009. 19 unpainted plastic figures. 12 different Poses. Material Plastic.